Profit from us an extensive variety of Polyacetal Rod for Textile Machinery that is accessible with is in novel mix of diverse qualities. Appropriate in designing segments for apparatus, electronic, car & material hardware, our offered rod are likewise utilized for transport chains, sprockets, pulleys, rollers, gears, shrubberies, washers, and seals. These rods are known for their peculiarities like high rigidity, solidness, sway quality, imperviousness to dampness and deadhead safety. 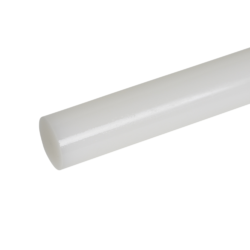 Looking for Polyacetal Rod for Textile Machinery ?